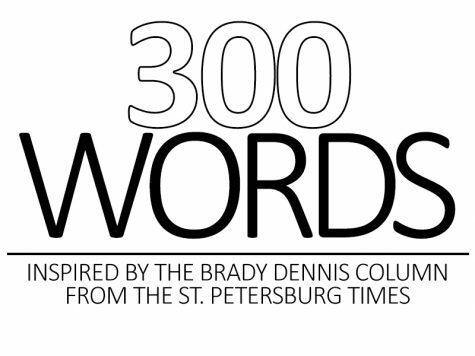 The 300 word series is inspired by Brady Dennis's St. Petersburg Times column. 1000 miles per hour. The rate at which Earth constantly rotates. One giant sphere in space, steadily orbiting one enormous ball of power. Astronomers argue we are only moving in a circle, repeating our path. Summer. Fall. Winter. Spring. Repeat. Philosophers argue that with every new season comes new changes. New climates. New landforms. New experiences. For a girl who moved 2617 miles from the only home she ever knew, the second theory appears more accurate. A new school. A new language. A new culture. 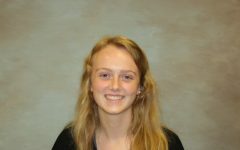 These are all experiences that rushed to greet Ivannia Sandoval when she moved from her charming hometown of Puerto Barrios, Guatemala to the fields of Bloomington, Illinois three years ago. Nerves and happiness flooded over Ivannia when she heard the news. After all, it was a reunion. Ivannia, living with her Auntie since age one, was to rejoin her parents. Bloomington welcomed Ivannia with open arms. It presented challenging classes, teachers who spoke her language, and best yet – a reunited family. Learning a new language isn’t easy. Ivannia will testify, “it was hard, it’s hard.” The fear of not being understood causes Ivannia to sink into herself. Talking to classmates, however, who speak her language, has helped Ivannia to feel more at home and ease out her protective bubble. 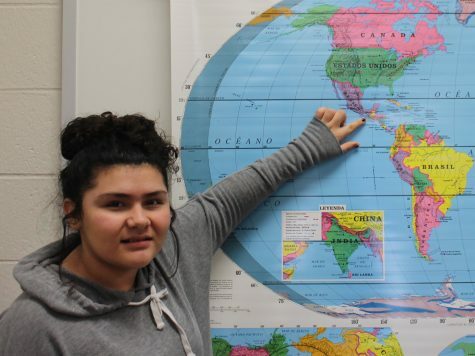 Ivannia, 16 misses her “little family” she had in Guatemala, but she enjoys the diversity NCHS has to offer. But there’s still the problem of Americans year-long hibernation inside of their homes. Community. The word that describes Guatemalan culture. “We were each other,” said Ivannia. The mountains of her homeland greeted Ivannia when she flew her kite just as neighbors greeted their community. Here. We remain confined within the four walls of our homes. But after all, it was a reunion. Ivannia may now be like other Americans – inside. But now she is inside with family, with real community.